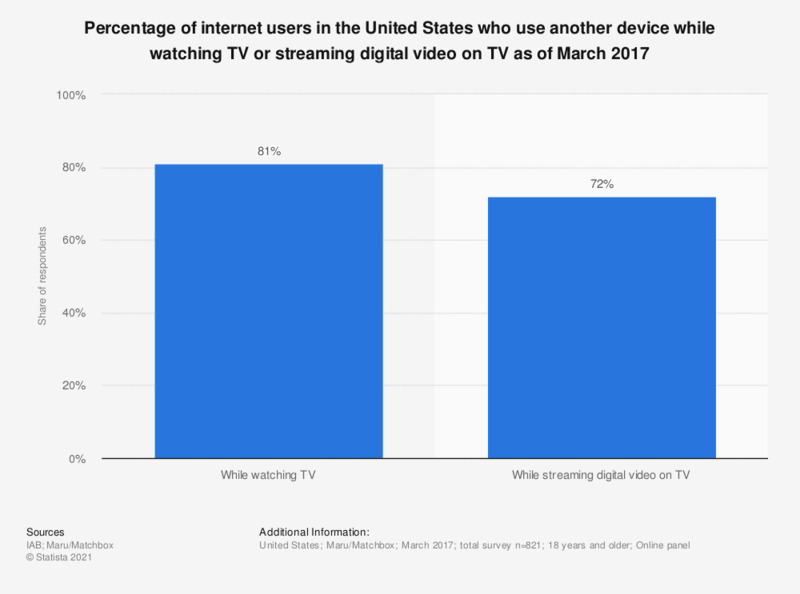 This statistic shows the share of internet users in the United States who use another device while watching TV or streaming digital video to TV as of March 2017. During the survey period, it was found that 81 percent of U.S. online adults were second screen users, accessing content on their smartphones, tablets or computers during regular TV consumption. Question: "Which of the following devices, if any, do you use simultaneously while watching TV?" What type of device do you use parallel to watching television?